Soaring and heartbreaking; trenchant yet restrained. 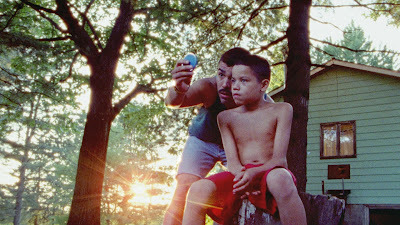 Overflowing with the saturated colors of a post-impressionist painting and the dizzying narrative transitions of a dream, documentarian Jeremiah Zagar’s debut fictional feature contains all the hope, promise, confusion, and pain of growing up poor and gay in America. 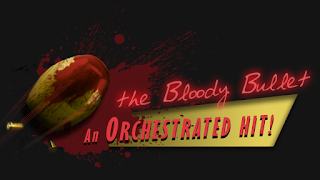 It’s earned its place as a crown jewel in the pantheon of queer cinema. 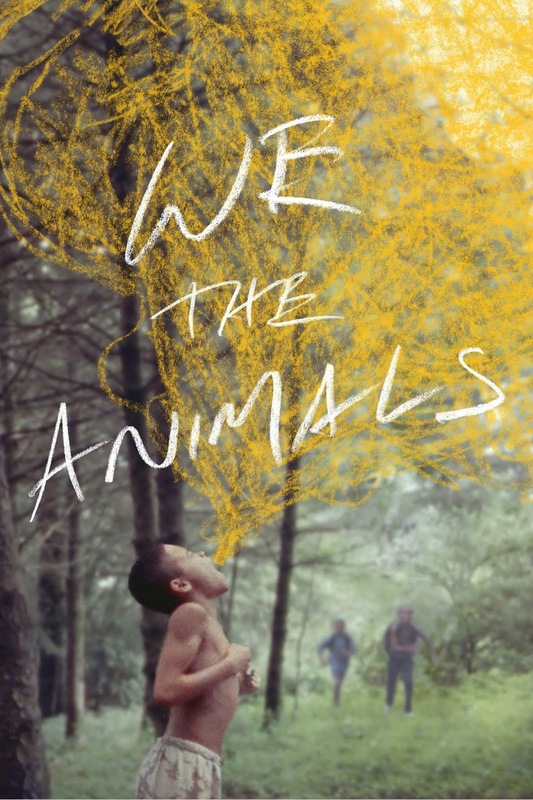 Three young brothers run wild one summer, shirtless and feral, in the grinding poverty of their upstate New York home. Mom and Dad love the boys and each other very much, but they’re volatile and unstable. Dad is unsteadily employed and Mom doesn’t get out of bed for days sometimes. When Dad beats on Mom and says the dentist “punched on her a little bit,” the boys are old enough to understand the truth, but not old enough to process. There’s very little resembling a plot, but the narrative unfolds richly through the eyes of Jonah, the youngest brother. Jonah is intuitive and pensive like his mother, burying himself in his journal under the bed each night with a flashlight, whereas his brothers are hot-headed and boisterous like their father. As the summer progresses into Fall and Winter, and Jonah begins to learn more about himself and who he will become, it becomes sadly clear that the once inseparable trio of brothers will grow apart—perhaps irrevocably. Economic hardships unfold seemingly one after the other for the family. At the conclusion of a particularly wrenching scene, the boys are stunned to a rare silence to see their father in tears for the first time—then something like transcendence is discovered in their joyous drumbeat to put a smile back on his face. Montages of the boys licking peanut butter out of the jar and stealing food are juxtaposed with Jonah’s coming to terms with his budding sexuality. The film is not a “message” movie— it never lectures, nor stoops low enough to tug at the heartstrings in its portrayal of poverty and boyhood. 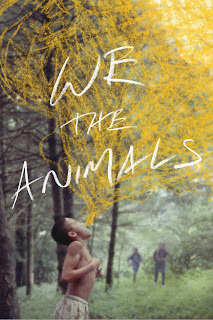 Nonetheless We the Animals will hit you right in the feels. Don’t miss it.